Now that we have passed the statewide medical marijuana bill, the pot producers have gathered up their resources and lobbied the Hillsborough County Commission to restrict competition. Just three months after declaring Hillsborough County open to boundless medical marijuana businesses, commissioners now may put a cap on how many dispensaries can set up shop. If approved, Hillsborough would allow just 13 dispensaries. Those already operating would have a significant advantage: Licenses would be awarded on a point system that heavily favors experience operating here. Hillsborough County Commissioner Pat Kemp was on the case. "This all just seems like going to an extreme to the benefit of monopolies," said Commissioner Pat Kemp, who led the charge against limiting dispensaries when commissioners first voted on the regulations March 7. Yet other commissioners feel we need to be protected from medical marijuana. "This is our community," said Commissioner Sandy Murman, one of several board members whose opinion has shifted since March. "And safety is first." Medical marijuana has learned the old fashioned way. From big business. It comes down to lobbyists for special interests and their money. Lobbying records and emails obtained by the Tampa Bay Times show opponents of caps were gearing up for round two the day after the March vote. Lobbyists for San Felasco Nurseries, one of the state's seven approved growers, huddled March 8 with several commissioners, including Stacy White, who had spearheaded the county's medical marijuana efforts, and Ken Hagan, who would ultimately request the re-vote on May 24. Beth Leytham? Where have we heard that name before? She's the controversial, yet highly connected lobbyist - advisor - PR consultant to certain career politicians, particularly those named (Hillsborough County Commissioner) Ken Hagan and (Mayor of Tampa Downtown Only) Bob Buckhorn. Looks like she's back to her usual tactics as the Eye and WTSP's Noah Pransky documented in the last couple of years. But not from the Tampa Bay Times. They conveniently ignored her questionable practices while she was working the GoHillsborough campaign which the Times supported. Leytham and Pressman have contributed to the campaigns of White and Hagan during the medical marijuana debate. White received $500 from Pressman two days before the Oct. 5 moratorium vote and another $1,000 from him and his business in April. Pressman and his associates gave Hagan $3,000 in April. Leytham and her associates gave $1,000 to White and $2,500 to Hagan in April. Both commissioners are running for re-election in 2018. They've received contributions from Leytham and Pressman in the past. But its for your own good, right? As Commissioner Murman is quoted, "And safety is first." Hagan as well is concerned about you. "Having lived through the pill mill crisis," he said, "I just feel very strongly that we do not want to potentially put ourselves in that position again." But I was told medical marijuana is safe, and can treat everything from the heebie jeebies to toejam. Have the commissioners heard from their constituents? 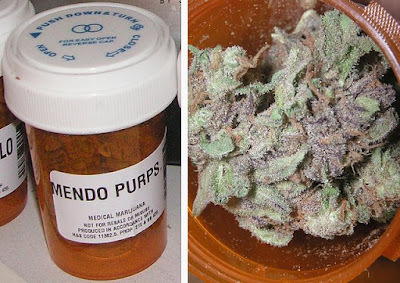 Has there been an uproar regarding the safety of medical marijuana since its been legalized? How many citizens were invited to those 60 meetings with Leytham and Pressman? Were there any public hearings on the safety of medical marijuana? Or are they more worried about their campaign contributions and Big Pot protecting their profits? Big business to Big Pot, its all the same cronies. It's business as usual around County Center. And they just keep on pushing.